I remembered this error from the last install of this client (about a year ago), it happens because Microsoft Visual J# was already installed (in my case it was previously installed by Embarcadero’s Rad Studio). Last year I “fixed” it by modifying the msi file but I remembered that Assarbad posted an easier solution on his Blog a while ago. His solution was to set a public property in the MSI (USING_VIM_INSTALLER) but it means we need to unpack the installer exe first to obtain the MSI file. 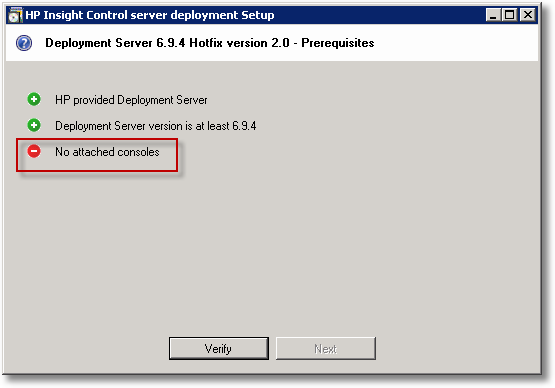 I was trying to install HP Insight Control server deployment (previously called HP Rapid Deployment Pack) on Sql Server 2008 Express. I will just call it Deployment Server or DS from here. I first installed SQL 2008 Express with Advanced Services and configured it to listen op Port 1433 as required by DS. This was strange because I didn’t yet startup the console, so I decided to start it and close it as this would perhaps allow me to continue. I presumed that the ODBC connection was missing so I went to Adminstrative Tools | Data Sources (ODBC). But the ODBC connection was present. I then fired up SQL Server Management Studio which showed me the eXpress database was missing. When you request Shadow (Remote Control) of a Remote Desktop (Terminal Server) or Citrix session the user gets a Dialog where he can Accept or Deny the Shadow Request. It’s possible to change the default settings and remove the need for this permission but I think this is a bad idea since it violates the user’s privacy. But sometimes it would be convenient to automatically accept, for instance for when a user is away or when you want to shadow a session that is “yours” but runs under another account. Some time ago (2008 actually) I wrote a tool that can assign driveletters given a volumename. I use it myself after SysPrep operations to assign the desired drive letters. For instance after cloning a Virtual Machine from a template. 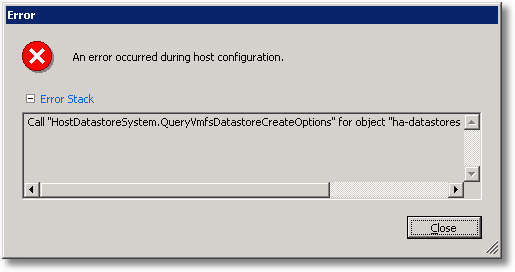 Call “HostDatastoreSystem.QueryVmfsDatastoreCreateOptions” for object “ha-datastoresystem” on ESX “<IP of ESX>” failed. As you may have read I am currently implementing VMWare vSphere 4 on several HP Proliant DL380 G7 machines. I ran across an interesting knowledge base article from VMWare that describes a possible issue that is summarized as “Power on and storage operations are slow with the HP Smart Array P410i controller“. Essentially this just means a performance issue and the resolution is to install an extra (256 MB) cache module on the RAID controller. 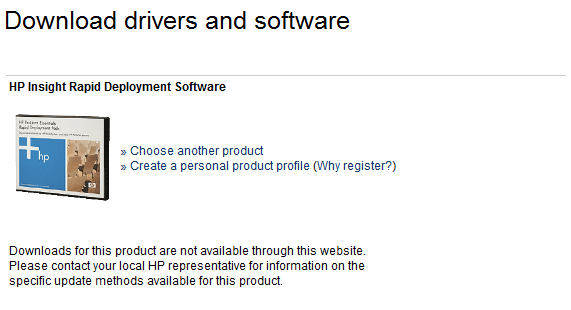 The Cache Module has HP article # 462968-B21 (not to be confused with 462969-B21 which is the Battery Kit). If you are looking for the HP Simple SAN Connection Manager Software (aka HP SSCM) then you’ve come to the right place. 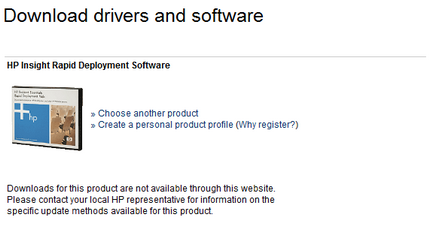 HP seems to be really good at hiding their software on the web but I found it. Then you can download by clicking Receive for Free. 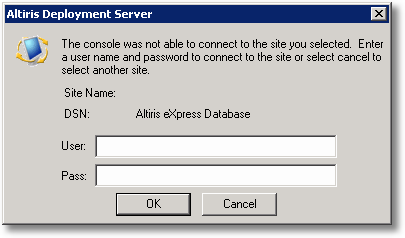 I have started the implementation of a VMWare vShphere environment in which we are going to use an Altiris server for Deployment. Since we are using HP Hardware I needed the HP Branded version of Altiris (it’s called HP Rapid Deployment Pack aka HP RDP). I had some troubles finding the download spot for it, that’s why I am sharing it here. Hopefully it will save others from a long search! So where do we download it then?